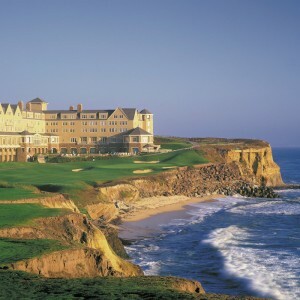 Faithfully following Scotland’s links traditions, Half Moon Bay’s two courses bask in the splendor of California’s central coast scenery. Arthur hills designed the Ocean Course with both picturesque waterside scenery and challenging golf in mind. The Old Course, designed by Francis Duane and Arnold Palmer and later redesigned by Arthur Hills, is noted for its Monterey pine and New Zealand Christmas tree-lined fairways.